$20.154 million on 3306 screens. Rated PG-13 for some intense sci-fi action. If nothing else, 1998’s Lost In Space will live on eternally as the answer to a trivia question. When it hit screens on April 3, 1998, it was the first film to dethrone 1997’s Titanic from the top of the weekly box office charts. Ever since the latter came out on December 19, 1997, it remained number one, but Lost In Space finally knocked it off its perch. And that's where comparisons between Space and Titanic end. The latter earned $600 million in the US and won 11 Oscars. The former took in $69 million and didn’t win squat. Space finds us in the year 2058, at which time the Earth is plagued by severe environmental concerns. A new world will be colonized, but terrorists called the Sedition try to affect this mission, as they’re working on their own scheme. Dr. John Robinson (William Hurt) heads up the expedition to get things rolling on Alpha Prime; he’s the brainiac behind all the technical aspects of it. Along with John, his entire family will also go on the journey. This group includes wife Maureen (Mimi Rogers), doctor daughter Judy (Heather Graham), resentful 14-year-old daughter Penny (Lacey Chabert), and moderately neglected son Will (Jack Johnson). When the opposition murders their original pilot, hotshot rocket jockey Don West (Matt LeBlanc) is forced against his will to take the controls. Unfortunately, powers work against the Robinsons, mainly manipulated by Dr. Smith (Gary Oldman). He’s being bribed by the Sedition and he sabotages their ship. However, he’s double-crossed by his own people and ends up stuck on the Jupiter II. He set up the ship’s robot to destroy it, but when he gets stuck with them, he needs to change that programming. Smith does so, but not until the robot had enough time to do heavy damage to the ship and send it off course. The Jupiter II heads toward the sun. To avert a literal meltdown, they choose to activate the hyperdrive. Unfortunately, this offers no navigational control and – just like in the old “Asteroids” videogame – sends it to some random location. That means that the Robinsons end up… lost in space! From there the plot largely revolves around their attempts to stay alive in various hostile climates. Smith doesn’t help matters; he assists the Robinsons just enough to save his own hide but always looks for some way to get ahead. They still want to get to Alpha Prime, and this sends them on various adventures that pop in and out of space and various time continuums. Space lacks much spark, but I continue to think it seems reasonably entertaining. It’s the kind of film for which you need to turn off your brain and just enjoy as mindless entertainment. Lots of puzzling elements appear if you pay attention. For example, why does the Sedition exist? Why do they feel the need for their own colonization plan? It sounds to me like the government scheme will account for everyone, so I never understood why any competition existed, especially since both methods would use the same technology. But if I forget about logic, I can get into Space. To its credit, it doesn’t try to take anything too seriously most of the time and it embraces a nice comic book attitude that serves it well. The film walks a fine line between irreverence and camp and usually treads on the satisfying side. Certain elements look self-consciously comic and come across as blandly goofy, but mostly the movie balances its elements reasonably well. Oddly, the quality of the acting seems to split along gender lines - to a degree, at least. Most of the males offer fairly good work. The notable exception comes from LeBlanc, who provides a broad and unengaging portrait of West. As young Will, however, Johnson proves nicely honest and warm, and he avoids becoming annoying or cutesy. Hurt also brings a good sense of purpose and heart to John, though he seems a bit flat at times. The standout work in Space comes from Oldman. He most buys into the film’s nearly campy tone, and he makes Dr. Smith a scenery-chewing delight. Oldman pounces on each line with wonderfully droll elocution and offers easily the most entertaining aspect of the movie. Unfortunately, none of the women do anything good with their roles. Perhaps that stems from the fact that they don’t get much to do in the film. It revolves mostly around the relationship between Will and his dad, and West and Smith get most of the remaining action. That leaves the women with little obvious activity, and the three actresses can’t overcome that problem. Another issue seen in Space relates to its effects. Some of these work quite well. For example, the space shots themselves tend to look quite convincing and distinctive. 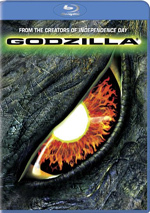 However, the movie suffers from some genuinely abominable computer graphics. Most notable are the cartoony and wholly unconvincing renders of CG characters like Blawp. These openly detract from the film; they were bad enough in 1998. So they’re truly atrocious in 2010. Still, despite a number of flaws, I continue to enjoy Lost In Space. No one will ever mistake it for a classic, but it offers reasonably exciting escapist entertainment. It contains more flaws than I’d like, but those don’t overwhelm its general sense of fun. Burgeoning cliché alert: for the third time in less than a year, a movie came out in which Gary Oldman’s character was referred to as a monster. This happened in May 1997’s The Fifth Element and occurred again during July 1997’s Air Force One. Fast forward to April 1998, and history repeats itself. I may have to watch more Oldman flicks to find out how often this occurs, but with three “monsters” in less than a year, he may have set a record. Lost In Space appears in an aspect ratio of approximately 2.35:1 on this Blu-ray Disc. This was an acceptable transfer but not a great one. Sharpness was erratic. While some shots looked pretty concise and dynamic, others appeared less well-defined. I never thought the movie appeared fuzzy, but delineation could be a bit less precise than expected. No issues with jagged edges or shimmering occurred, and edge enhancement seemed to be absent. Source flaws weren’t present, and given the movie’s ample amounts of grain, I didn’t sense notable use of digital noise reduction. The movie displayed a nicely varied palette that came through well for the most part. Hues usually seemed rich and vibrant. Some examples of colored lighting appeared slightly heavy, but for the most part, I felt the tones were vivid and tight. Black levels looked deep and dense, but shadows were a bit iffy. Some of those came across as a little too thick. The movie always remained perfectly watchable, but it lacked much sparkle. I preferred the DTS-HD MA 5.1 soundtrack of Lost In Space. The soundfield consistently presented a lively and engaging piece of work. All five channels received an active workout that used the different speakers nicely. Music provided good stereo imaging, while the effects materialized from all around the spectrum. Elements blended together efficiently and moved smoothly from speaker to speaker. Surround usage appeared excellent, as the rear channels added a great sense of atmosphere. The opening fighter battle offered demo-worthy audio, and the scene in which the spiders move about a ship also provided creepy environmental work, though I felt the surrounds could have dominated that latter scene a little more. Nonetheless, the track generally provided very well delineated and localized material that meshed smoothly. Audio quality also came across as solid. Although a few lines betrayed a little edginess, speech usually seemed natural and distinct, and I encountered no issues related to intelligibility. Music sounded bright and bold and displayed fine dynamics and clarity. Effects seemed vibrant and accurate and suffered from no signs of distortion. Bass response appeared terrific, as the movie presented lots of tight bass that really kicked in nicely when appropriate. Overall, the soundtrack of Lost In Space worked very well. 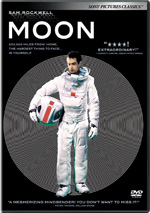 How did the picture and sound of this Blu-ray compare to the original 1998 DVD? Audio showed a bit more oomph, though the old Dolby Digital track worked fine as well. As for the visuals, they displayed mild improvements. I thought the DVD looked pretty good, but even though the Blu-ray was a relative disappointment, it still offered generally superior definition. This wasn’t a great presentation, but it came across as a little stronger than the DVD. Most of the DVD’s supplements also appear here. First up we find two separate audio commentaries. The first comes from director Stephen Hopkins and writer Akiva Goldsman. Both were recorded separately for this edited track. Most of the time their remarks relate to the action onscreen, but they often veer off onto other topics, so it’s definitely not a strictly “screen-specific” piece. Overall, Hopkins and Goldsman offer a very solid examination of the film. We learn about the project’s origins and hear about a wide variety of production issues. Hopkins dominates, as he goes over issues such as sets, effects, alterations made to the movie and a variety of problems encountered. Goldsman chimes in with similar discussions, but he mainly talks about changes effected to the original script. It’s a nicely upfront and honest track. While they don’t dish any dirt, we do get realistic appraisals of the concerns they experienced and things they would now do differently. Goldsman even relates some details of what direction a sequel would have taken. All in all, this is a very interesting and informative piece. Next comes the “technical” commentary. It involves visual effects supervisor Angus Bickerton, visual effects producer Lauren Ritchie, director of photography Peter Levy, editor Ray Lovejoy, and producer Carla Fry, all of whom were recorded separately for this edited track. Bickerton and Levy heavily dominate the piece. The others pop up infrequently and occasionally offer some useful material, such as when Lovejoy chats about story alterations, but overall they remain firmly in the background. Happily, Bickerton and Levy prove reasonably interesting and engaging during their portions. Obviously their comments stick strongly to technical elements, but their statements provide a nice education about their duties. Levy mostly relates notes about lighting, which sounds dry and can be at times, but usually his remarks give us a solid understanding of his work. Bickerton covers a wider variety of topics and informs us about all of the different effects challenges. Given the nature of the film, this means he goes into many areas, and he delineates the subjects well. They even criticize some of their work at times, with a particular negative emphasis on Blawp. While the technical commentary occasionally sags, it normally comes across as compelling and revealing. In Building the Special Effects, we find a featurette about that area and Space. The program lasts 15 minutes and 56 seconds and mixes movie clips, rough effects footage, and comments from special effects supervisor Angus Bickerton, animation supervisor Mac Wilson, CG supervisor Lee Danskin, and Nick Lloyd of the Film Factory. The examples of effects material makes this show reasonably interesting, as we see a CG animation of the bubble fighter sequence and other CG shots. Wilson’s demonstration of computer puppeteering techniques used to animate Blawp also seems useful. Unfortunately, a lot of the material repeats what we heard in the technical commentary, which means we don’t get a lot of new information here. Q&A with the Original Cast lasts seven minutes, 5 seconds and includes information from June Lockhart, Angela Cartwright, and Marta Kristen. They chat about their memories of the show, continued fan interest, an old proposal for a sequel, and a few other topics. The program suffers from a bland talking head presentation – some footage or at least stills from the series would have been nice – but it nonetheless offers a moderately engaging little conversation. For a glimpse of science fact and a potential science future, take a look at The Future of Space Travel. This nine-minute and 49-second featurette involves comments The Tree People’s Jeff Hohensee plus The Planetary Society’s Charlene Anderson and Andre Bormanis, and Dr. Louis Friedman. They discuss science fiction material that eventually came true as well as the truth of wormholes, the possibilities of Mars colonization, commercial spaceflight, and a few other subjects. The information provides a smattering of useful knowledge, but overall the piece seems a little dry and bland. Next we find the music video for Apollo Four Forty’s “Lost In Space Theme”. A frenetic affair, it combines movie clips with heavily stylized images of the band. We also the film’s theatrical trailer. More footage appears in the Deleted Scenes domain. This features 10 excised clips, and the entire segment lasts 11 minutes, 47 seconds. Accompanied by descriptive text to set up the snippets, this presentation seems quite interesting. I don’t know if any of the material should have made the final cut, but at least we find out what the women did while the guys explored the planet during the third act. 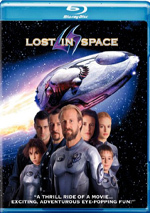 No one can call Lost In Space a classic film, and I definitely understand those who loathe it. However, I think the movie offers a reasonably exciting and entertaining piece of work that may not hold up to much scrutiny, but it still comes across as moderate fun. 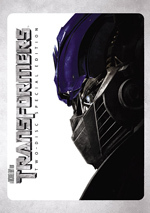 As for the Blu-ray, it provides decent to good visuals, terrific audio, and a mostly informative set of supplements. This release doesn’t dazzle, but it offers the strongest home video version of the film.